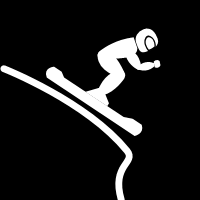 Krashlander is one of the most challenging snowboarding games available today. Published by Farseer Games, the game is physics based, so you can’t jump around like you would in other games. This makes it very challenging but at the same time quite enjoyable. Jumping from a mountain in real life is never easy, and Krashlander proves it. The gaming style is somewhat reminiscent to the classic NES games, and uses the splash screen to tell the story. Basically the story has robots destroying your home planet and you’re out for payback. How do you go about exacting revenge? You grab a krashsuit and take out the dastardly robots by jumping down from a mountain and then slamming them. The storyline is very simple but it’s a lot of fun. What really makes Krashlander ideal is its directness. Rather than worry about collecting items or pressing a lot of buttons, you just concentrate on what your character is doing. Just have your character crouch, lean back and stand up and gather momentum. Aside from being an exciting game, it also gives you an idea of how difficult jumping really is. It isn’t as simple as just jumping off a mountain as you also need to make adjustments and make sure the jump is accurate. This is in addition to having to go through obstacles. Once you do get in the air, you need to concentrate and lean back or forward so your board is on the right angle. This is very important because if you don’t you’ll just fall flat on your face. If you love a challenging snowboard game, don’t pass up on this one.